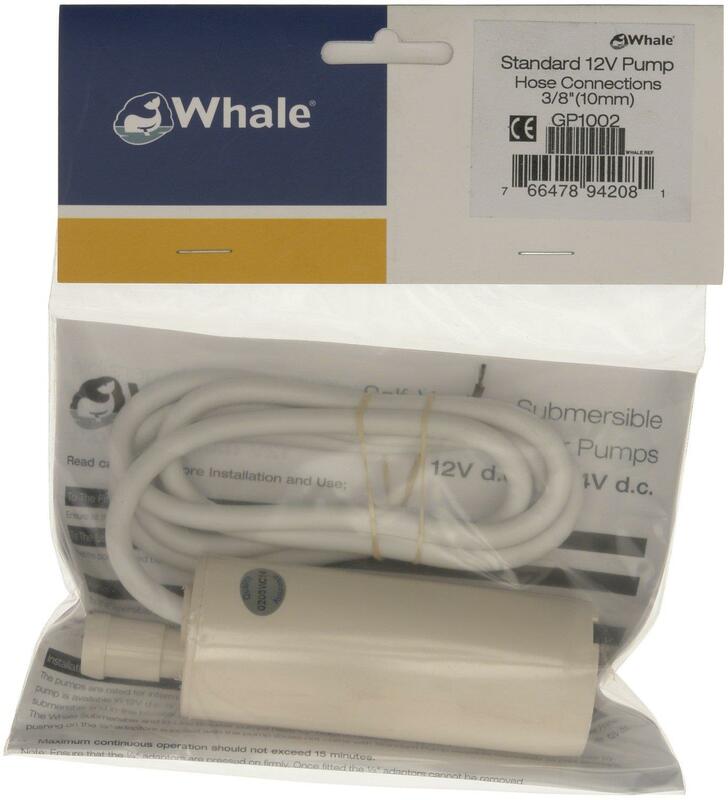 Whale Standard Submersible Pump. Simple, compact design and economic solution. Ideal for basic one outlet applications. 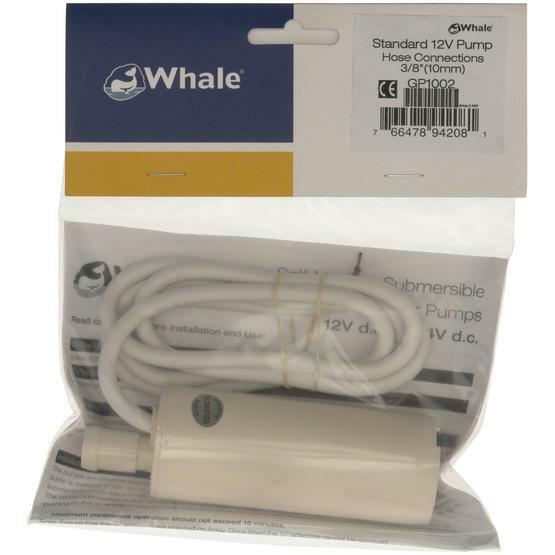 Whale submersible pumps are low cost, lightweight and small, simple to use and quick and easy to install. 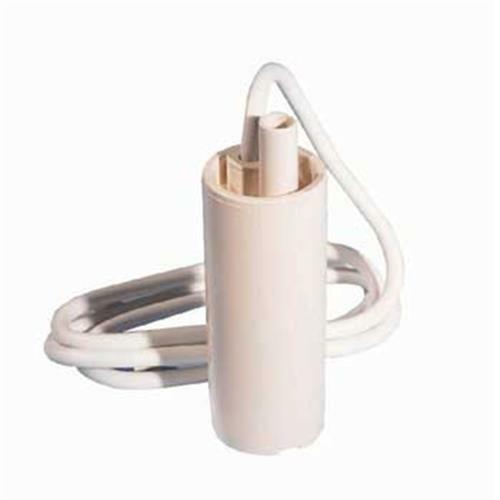 The GP1002 is a 12V freshwater pump suitable for use with pressure switch and microswitch systems and gives an flow rate of upto 10.3 litres per minute making it ideal for single outlet applications. It looks to be very good value - I am keeping as a spare. Good product, economical and fit for purpose.